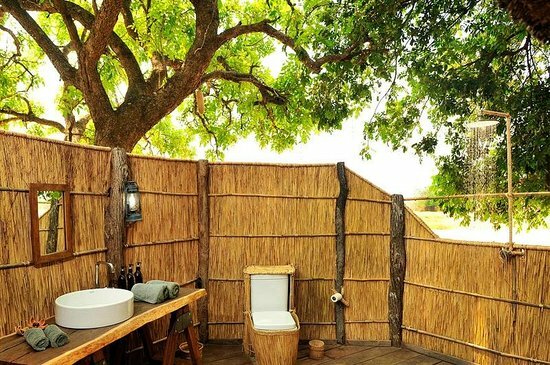 Nsolo Camp is a romantic, thatched camp, situated on a waterhole in the shade of a large grove of trees. Accommodation consists of four rooms, built on raised wooden platforms under a thatched roof. Where possible, the natural features have been incorporated into the structure. At night, the canvas curtains can be drawn for added security. Rooms are open-fronted allowing extensive views. There is a small waterhole in front of the camp, which attracts game. Taking the local name for the greater honeyguide bird, Nsolo Bush Camp overlooks a bend of the usually dry Luwi River, a tributary of the Luangwa. One of the Expert Africa team first visited the camp in 1995, when its rustic style and firm focus on walking safaris was almost universal amongst the park’s many seasonal bushcamps. Since then Nsolo has kept its ethos, unlike most contemporaries, and continues to appeal to safari lovers whose passion is walking.